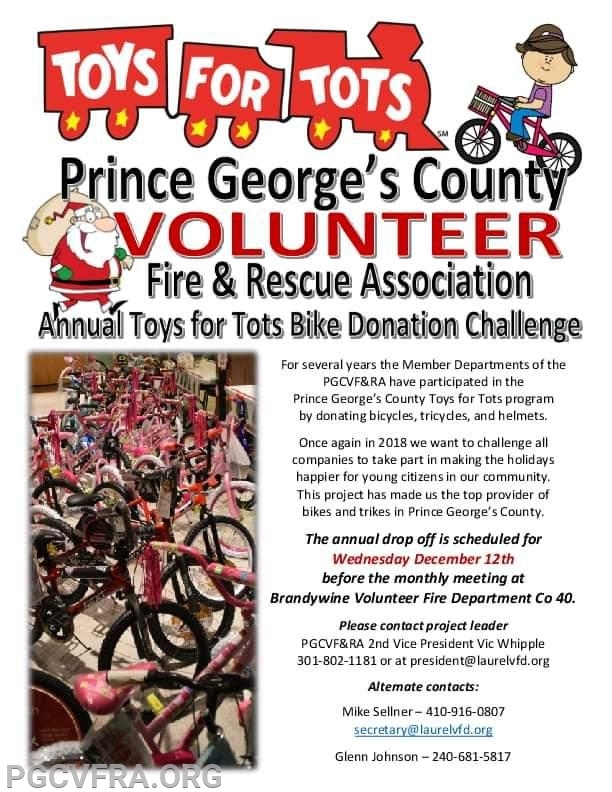 Once again this year, the PGCVFRA is proud to sponsor our annual bike donation challenge to member companies. This has been a very successful event for many years and makes the holiday a bit happier for for some young citizens in our communities. Let's make this year another great holiday event ! Please see the flyer for additional details.